Posted on March 9, 2014 by Ronald Patrick Raab, C.S.C. Last evening over 400 people gathered at Sacred Heart Church to celebrate the 30th Anniversary of Holy Cross ministering in the Tri-Community. 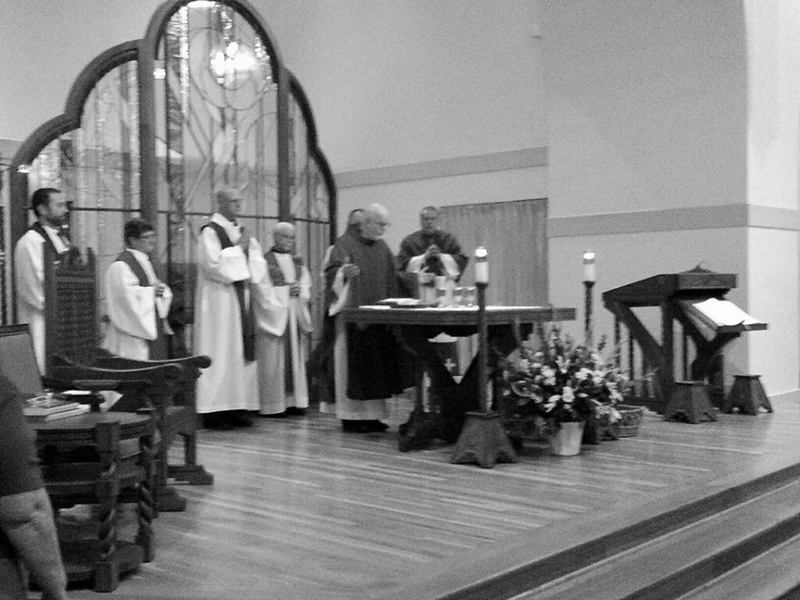 Bishop Sheridan blessed the Holy Cross members who were present, including our Provincial, Fr. Thomas O’Hara, CSC. I composed the prayer based on the words of our Founder, Rev. Basil Moreau and on the Constitutions of the Congregation of Holy Cross. Send your Spirit upon these members of the Congregation of Holy Cross. They offer their lives to serve the Church through the faith of their founder, Rev. Basil Moreau; that the Cross of Christ Jesus is our only hope. These men have “hope to bring”. They lead people in prayer and model lives of fidelity. They offer this hope to all who long for new life and healing. Our Lady of Sorrows, show them how to stand among those who suffer. Saint Andre Bessette, intercede for us all who long to find healing in Christ Jesus. We stand with these men tonight grateful for their witness to the Universal Church that suffering is a gift when lived in the Risen Christ. We stand among you in gratitude for your many years of service in the Diocese of Colorado Springs. Did no one get the photograph of the entire group being blessed?